Move down: What do we do? A&P Mets is buying forest properties throughout Estonia. When purchasing a property we are not hindered by existing mortgages or environmental limits. In the same manner, the property may contain buildings or parts that are used as farmland. If you wish to only sell a part of a property, we can help finding a solution for that. We are prepared to carry out survey works and bear their costs. A&P Mets is purchasing cutting rights to growing forests throughout Estonia. Upon transfer of cutting rights, only the right to manage the forest is sold, the land will remain as a property of the owner. This is the most common and comfortable method for forest management, if you wish to keep the land resource. Cutting works and realization of the wood will be carried out for you and the purchase price will be paid to you in full before the works begin. A&P Mets buys and rents agricultural land in Viljandi county. A&P Mets has continuously expanded during its years of activity and by today a subsidiary company OÜ Sakala Põldur has grown out of it. Sakala Põldur is involved in the cultivation and selling of grain and manages up to 2500 hectares of farmland. We buy and rent farmland mainly in Viljandi county. The price of the farmland is determined according to its usage and location. A&P Mets manages its own forest properties. In A&P Mets forest improvement is handled by our subsidiary company OÜ AP Metsatööd. 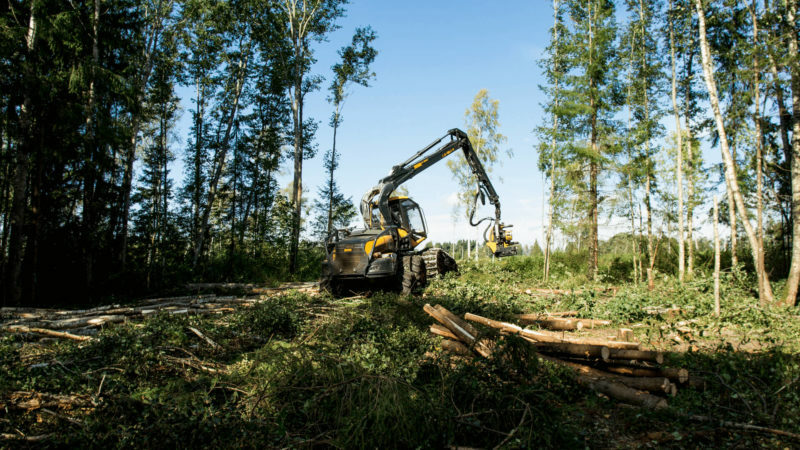 We own a modern and diverse inventory of machinery, which allows us to manage the forest economically and in an environmentally friendly manner. Our machine operators are experts in their field and are able to guarantee a very high quality of the cutting work. COMPETENCE– 20 years of forestry experience. TRANSPARENCY– all our deals and works are carried out properly and in accordance with Estonian forestry laws, the satisfaction of our clients is our objective. PRICE– we offer a competitive price. RELIABILITY– we fulfill our promises and accept responsibility for our actions. We take pride in the quality of our work. Please view our video. A&P Mets is buying forest properties and cutting rights throughout Estonia.We hope to receive your contact information and all of your questions will be answered! We will review all selling offers and guarantee a feedback response to you. If you need professional advice in forest management, then do not hesitate to ask us. Together we can find the best solution and make you a suitable offer! We will contact you at first chance!